Bruce Jenner was a great male athlete. He won the gold medal in the decathlon in the 1976 Olympics. 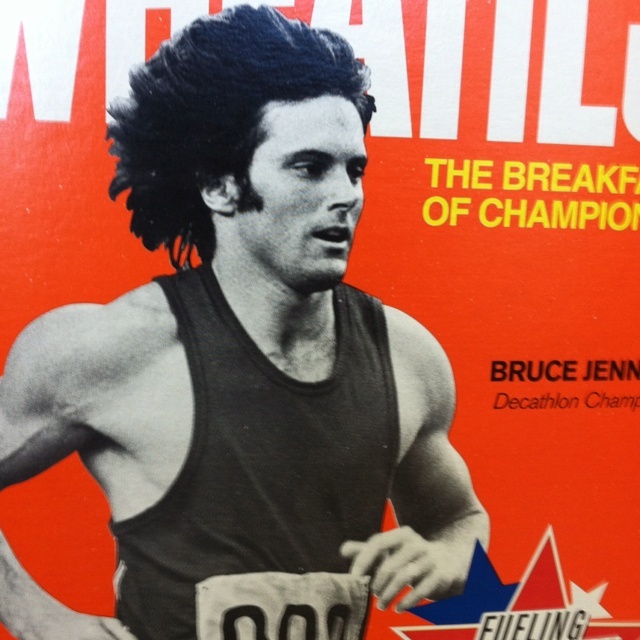 He was not only on the Wheaties box, but became a spokesman for the brand. I think this cool woman not only understands and admires Jenner, but loves him. You might think that liberals would love him too, or at least embrace him, since libs pride themselves on tolerance and diversity. But you’d be wrong, for reasons that are rather interesting. But it’s not Jenner’s unconventional sexual identity that repulsed the libs. No, it’s something else. It’s something horrifying. It’s something that accepting and tolerant libs cannot accept and will not tolerate. It’s that Jenner is a conservative Christian. That’s right. In the television interview announcing his gender-bender intentions, Jenner also admitted that he “leans conservative” in politics, that he’s a Republican, that he’s no fan of President Obama, and that he’s a Christian. You might have thought someone just peed in Obama’s arugula. Faster than you can say “Ferguson,” liberals nearly rioted in the street. The “diversity” crowd loaded into their hybrid cars with “C-O-E-X-I-S-T” bumper stickers and tried to run Jenner into the ditch and out of existence. The other assailants similarly identified Jenner’s politics and religion as the reason for their attacks. Jenner hasn’t counterattacked; he hasn’t challenged those who disagree with his politics or religion. He’s too busy challenging himself to find and live the life that God wants for him. That’s a tough enough issue to deal with. And now Jenner and his soul have this other issue to deal with – liberal hatred. I don’t know how God sees Jenner. That’s between him and God. But I do know how I see him. I don’t see a “sickening” or “disgusting” person, or the “stupid f*ck” that liberals see. I see a father who helped conceive and raise children. I see an athlete who won an Olympic gold medal. I see a husband who is still admired and loved by his former wife. I see a man who told the world about the unusual personal life he lives so that others might live theirs. I see an immortal soul finding and walking the earthly path that God laid out — without regard for what people think. I see a total stud. This entry was posted in Uncategorized and tagged Bruce Jenner, Christians, conservative, liberals, tolerance by onthebeatontrack. Bookmark the permalink.